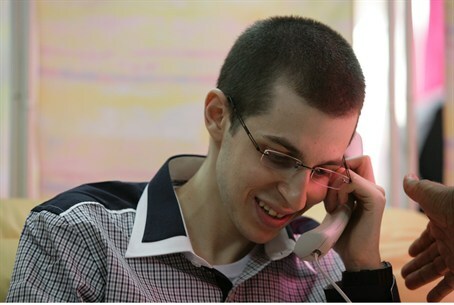 One of the thousand-some terrorists who were released last year in exchange for kidnapped IDF soldier Gilad Shalit will be returning to prison. Ali Jumah Ali Zidat, who had been serving a multi-year sentence for terror offenses when he was released in the Shalit deal, was caught in Israel illegally, and he will be going back to finish his prison term. Although most illegal Arab infiltrators are held for a short time while security officials check their background and are then sent back to the PA, Zidat's was a special case, a government committee that oversees the activities of freed terrorists decided Wednesday. Security officials who arrested him said that Zidat was had apparently entered Israel in order to undertake a terror attack. Zidat, the committee said, was in violation of the terms of his release, and under the terms of his release last year, any such violation could see him return to prison, with additional sentences for further crimes. Zidat was one of the “lesser” security prisoners released in December 2011, in the second stage of the Shalit deal, along with some 550 other terrorists. Unlike the 477 terrorists released in October, right before Hamas released Shalit, none in the second group had been convicted of direct involvement in the death of Israelis. However, many of them – such as Zidat – had been convicted of conspiracy or aiding other terrorists in the murder of Israelis. Zidat is the first Shalit-deal terrorist to be returning to prison.